Do you really want to know how to increase Telegram channel members? Here, I am not going to tell you any story. These are the proven ways that I have tried to increase channel members in Telegram. If you have a group, then don’t worry, the below points are also the answer to how to increase Telegram group members. If you are new to the term channel, then let me tell you something regarding this. 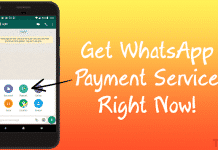 You know WhatsApp, right! Then, you probably hear the term broadcast. It allows you to send one message to multiple contacts, if and only if the receiver has your number. Otherwise, the receiver will not get your message. The bad thing is, it only allows you to add 256 contacts in a broadcast list. Unlike the WhatsApp, Channels in Telegram plays a different role in terms of message broadcasting. You can say, it is the combination of Whatsapp and YouTube. After creating a channel, you are allowed to add up to 200 members in it. After that, the members can join your channel by following your public or private link. 1 Why Should You Increase Channel Members in Telegram? 2 How to Increase Telegram Channel Members? 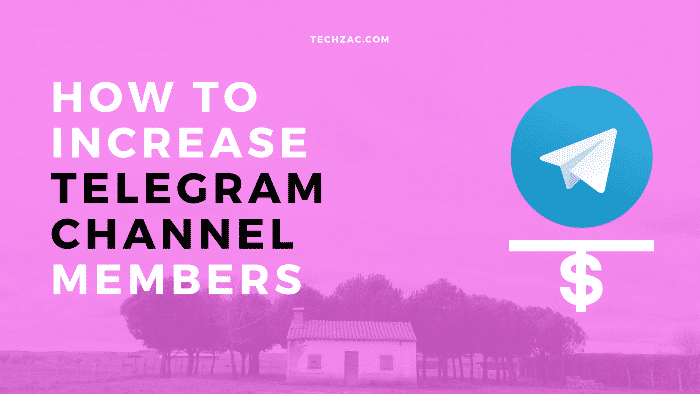 Why Should You Increase Channel Members in Telegram? You won’t believe that I have already earned more than $2000+ from my two Telegram channels in a year. I know, this is not a big amount, but this is enough for motivation. If you have a larger channel, then you can even earn more with your channels by publishing affiliate links or by advertising other channels. In my opinion, Telegram is the best instant messaging app to earn some extra pocket money. If you have a blog, then you can promote your posts in your channel and you’ll get instant views. Well, I like Telegram more than other instant messaging apps which helps me to promote my blog as well as give me some extra money. How to Increase Telegram Channel Members? Believe me, there is nothing like increase Telegram channel members software. There is a few basic strategy to add member to Telegram channel. Here I have shared some proven ways to get free Telegram member for your groups and channels in few months. Let’s focus on these points. 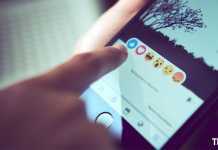 A right topic plays an important role to increase followers on Telegram. Don’t start a channel with a random topic. First, you have to analyze different channels which have larger members. You need to do something better than your targeted channels to grow your members. Don’t choose a topic which you can’t post for a long time. Always start a topic which you are fascinated with; so that you’ll never end the topic ideas. This is the best thing to keep your members engaged. If you are publishing a post daily, then every day you have to publish a post. In that way, you can attract some loyal members who love your topic and it’ll help you to increase followers on Telegram. And, keep in mind one thing that loyal members won’t leave your channel. Always post for your loyal readers, not for temporary readers. Tchannels.me is the largest website having popular Telegram channels in different categories. This is the best and easy way to add member to Telegram channel. Here, you just need to add your channel and tell your readers to rate your channel for five stars. Making your channel visible on the first page is compulsory. If your channel shows on the first page, then you’ll get members automatically without any effort. You just have to do one this, increase your ratings. So, always ask your readers to give 5-star rating for your channel. A lower rating will disappear your channel from the first page. How to promote your Telegram channel? There are different ways you can follow to promote your channel. The best way is the Telegram groups and channels. There are few groups exist in Telegram which allows you to promote your channel; you have to find those groups. If you have money and want to increase Telegram channel members, then you can promote Telegram channel by paying money to a larger Channel. Now, I am making money on my Telegram channels by promoting other Groups, Channels, and Bots. Social media including Facebook, Google+ also plays an important role in promotion. Or, you can use WhatsApp to do the same. Quora helped me a lot to increase Telegram channel members. Quora is the world’s largest and popular question and answer website. Here, a lot of people asks questions related to Telegram messenger. You can use this platform to add members to Telegram channel. If you know the answer, then give your answer and put your channel’s link below to the post. It’ll attract the readers to join to your channel. As like Quora, you can follow other Q&A sites to promote your channel in a polite way. I have been working on the Telegram from the last two years and I can say visual posts grab more attention from the users than text posts. Whatever you post on your channel or groups, don’t forget to attach a suitable image to it. It’ll help you to get free members to Telegram channel. The subject may vary and the conversation might not be helpful for many but addition of visuals or infographics makes it worth reading. If you have blog or website with a live audience, then this is the right place to grow a Telegram group or channel. You can use the header or the sidebar section of your website to add an attractive image ad or in your blog, you can attach it in every post. If the banner ad is attractive, then people will surely follow that image. 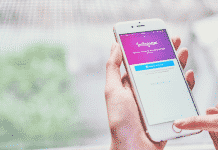 In addition, to give a small idea to the viewers about your online existence in common, you need to announce it by linking your page or website to the channel or website. This is the best option for how to get telegram members. I am currently running two successful channels; one belongs to Technology niche and another one for Entertainment. If you are interested in paid promotion, then you can contact me on Telegram using the below button. This service will help you to get a quick boost to your channel. Let me inform you, this is a paid service. I can also feature your channel in the best Telegram channels list, which will give you lifetime targeted channel members. If you want to know more about Telegram, then feel free to contact me using the above link. This was all about how to increase Telegram channel members. If you want to add member to Telegram channel, then you can follow these ways. I have gained more than 60K members in a year by following these strategies. If you are following any other way to promote your channel, then don’t forget to share with us. my team can offer you these services. if your interested please contact us. Personnaly, this channel gave me all the informations i needed to understand cryptos. They also shares good signals, last one gave me 110% on ETC ! For accurate signals on cryptocurrency trading join this channel . They are really doing well and they carry all subscribers along. I have made a Music Channel which is totally free. Daily update with lots of musics. I love your post. I just started a Christian daily devotional channel, @BreadofLifeDailyDevotional this month and I want people to be bless by it. Among what you listed, what do you think is best to use. Hello Everyone, I discovered this new Free Binary Option Trading group on telegram, i joined and got free perfect Signals, Tutorials & Strategies and I made up to $4,840 weekly on my own just with $1800 . Fastest growing Pump and Dump group in Telegram. Join our team! Good information chandhan. I have two telegram channels. One I have already made good numbers. Now I have started another channel related to stock market. Please have a look. FQin Design – Q&As for graphic designers. well done, nice one. so far i have made a huge profit following Signals from this telegram group, @cryptobankalert. I have a chat group in telegram. How can I increase the members? Please, help me. Hi Mr Chandan can you direct only UK audience to a Telegram Channel please? If you want to increase Telegram channel members for UK, then you have to share your channel on UK based social platforms. You can contact me Telegram. Great post. Pretty much the same strategy I have used to grow my channels although not so much as 40K but a couple of 1000 within a year. Some examples of different kinds of topics that Chandan was mentioning that each channel should focus on. Thanks for sharing your channels. Hi would u please to introduce this channel? We can only share the channels in the English language. I have started two different telegram channels within the past week to mainly promote my youtube videos. @foodieyoutuber and @entertainingvideos are my channels. Since I started them altogether I have 11 followers. 8 in one and 3 in the other. Is that a good ratio of members to days or bad? I want to increase them as much as possible. I am already in that catalogue website. Any other catalogues I can try? Thanks for your article. Promote your channel on Quora and ask other Telegram channel owners to do the same. i have a channel in telegram too and i just started 5 months ago , after this time i have mor than 9 k.
I have used this strategy and gained more than 40K subscribers in my two channels. This is very good information, I was looking for some tips like these. I’m looking to increase my channel, I post daily information and graphs with tips for the hottest cryptocurrencies. Join @cryptopumpsignal if you’d like to be a part of our group. Hi guys. use this app for increase member of telegram’s channels and groups. I have tested this app to increase Telegram channel members, but it is not working as described. We only allow paid promotion. Thia is the best way to boost Telegram members.